Our goal is to build partnerships that generate demonstrable social impact for communities where we operate. In the next years, our impact data will inform more precise social targets and maximize our contribution to sustainable development. In return, demonstrating the value of our programs provides us with a vital differentiating value that supports our company's mission and sustainable growth. For us, community investment is a way to voluntary engage with charitable organizations and reach beyond our core business operations. Our strategy ensures that this goal is in alignment with our mission and business priorities. As a responsible corporate citizen, we ensure that our businesses deliver positive impact in local communities while respecting the environment and the diversity of societies and individuals. Our offices around the world implement programs aligned with our JT Group Community Investment Policy and priority themes are identified based on global and local needs. Global Community Investment functions support program implementation and compliance with our strategy and guidelines. As an LBG member, we measure the inputs, outputs and impacts of our programs using the LBG measurement framework. In 2017, we invested 6,090 million yen (8% charitable donations, 92% community investment) in corporate community investment where we operate. We are constantly improving our impact assessment to inform more precise social targets and maximize our contributions to sustainable development. In return, demonstrating the value of our programs will provide us with a vital differentiating value that supports our company's mission and sustainable growth. Our company is committed to respecting diversity. We want to share this commitment through our partnerships in support of social welfare and widening access to arts and culture for all. In 2017, we supported 179 social welfare and 136 Arts and Culture programs covering 86% of countries where we have a business presence. Our programs also enable employees to take part to a wide range of volunteering activities. 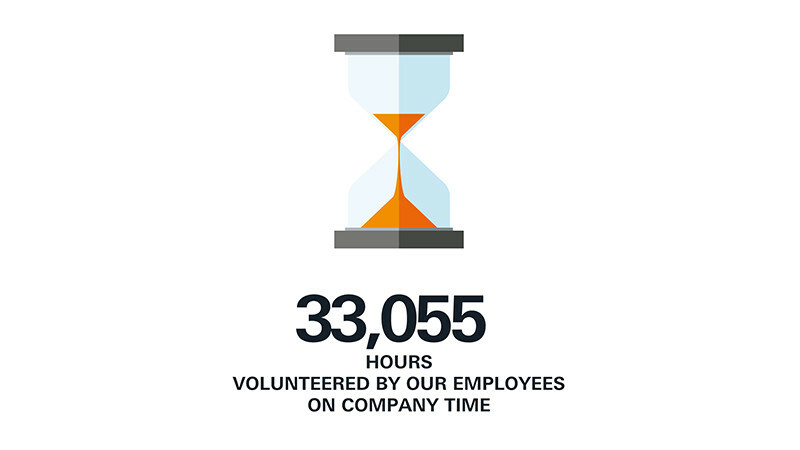 Through volunteering, we enable our employees to support our company's social commitments. In 2017, 17,434 employees and family members worldwide gave 50,519 hours of their time in support of our community programs. These many volunteering opportunities also support our human resources funtion to build employees engagement and skills. In 2017, 394 employees engaged in volunteering activities where impacts* were measured, reported that volunteering activities helped them improve skills that were useful in their day jobs. 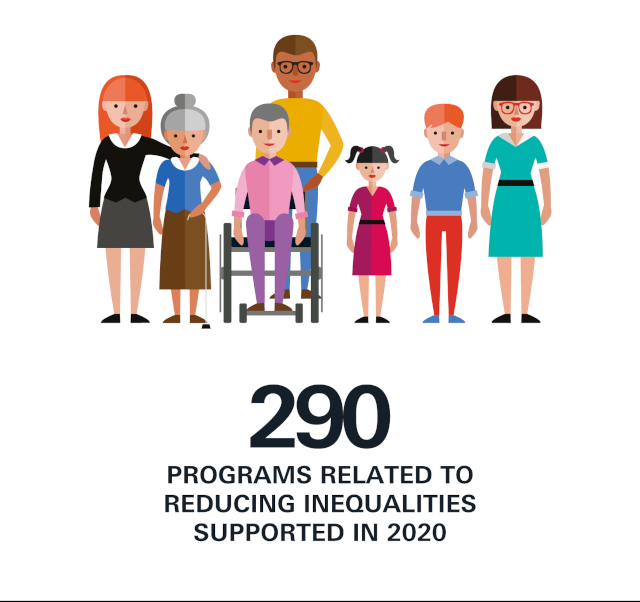 In 2017, 14 markets reported impact data for programs related to 'reducing inequalities'. As a global company that relies on natural resources, we are committed to reducing the environmental impact of our operations. At the same time, we would like to pro-actively contribute to increasing awareness and social action for environmental protection. In 2017, we supported 16 environmental programs in 12 countries where we have a business presence. In Japan, we are active in promoting the sustainable maintenance of 9 forests. In 2017, our JT Forest program attracted over 707 employees who volunteered their time to help preserve forests, and learned more about the importance of environmental protection. As a result, 58% of employees increased their interest in environmental conservation, 60% would like to improve their behavior towards a more sustainable use of natural resources and 73% reported an increasing pride in the company through volunteering. In 2017, 4 markets reported impact data for programs related to 'environmental protection'. Our company has built Disaster Management expertise over the years, due to a disaster prone environment in Japan. In 2017, we supported 27 programs in total benefitting 217,441 people worldwide. In Japan, we support charities that respond to disasters and revitalise communities to be more resilient in the future. 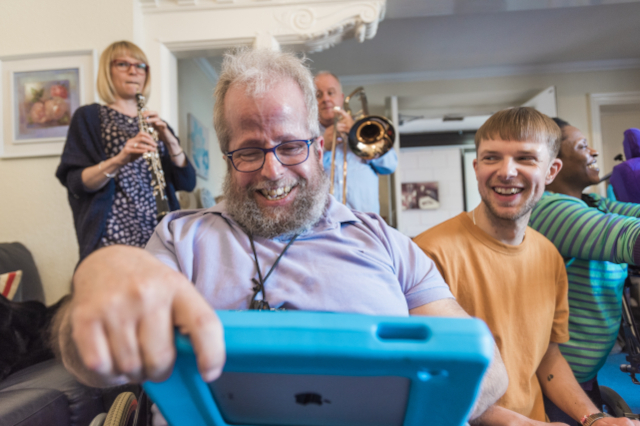 In 2017, the JT Group supported six long-term programs. Furthering our commitment to resilience worldwide, the Group's international tobacco business endows the JTI Foundation, a Swiss-registered charity since 2001. The JTI Foundation is specialized in Disaster Management and targets its support to emerging countries, disproportionally prone to disasters. 56% of the JTI Foundation's activities focus on supporting the Asian continent. In 2017, the JTI Foundation supported 22 projects benefitting 208,642 people worldwide, covering 23% of the markets where we have a business presence.